The second batch of classes (Classes Three and Four) for the 2016 Sitka Local Foods Network garden mentor program are being set for our two participating first-year families and our three returning second-year families. The classes will be similar at each location, and they are open to the public. Class Three is about garden maintenance, while Class Four is about early harvest. Class One focused on site selection, garden preparation, building planter beds, simple vegetables and soil preparation, while Class Two was about simple vegetables and planting. There are six classes in the series, with Class Five about the final harvest and Class Six about preparing the garden for winter. Our first-year gardener families (Erin Mathes and Fran Baratki), learn how to grow four hardy crops for Sitka — kale, lettuce, potatoes and rhubarb. Our three returning families (A.J. Bastian, Rebecca Kubacki and Breezy) will be planting carrots, chard, green onions and peas this year. These four crops are slightly more difficult crops to grow that our first-year plantings of kale, lettuce, potatoes and rhubarb. Even though the crops for our second-year students are more difficult to grow, many gardeners in Sitka still have good results with these vegetables. These classes are essentially the same, so feel free to attend the Class 3 or Class 4 that best fits your schedule. ERIN MATTHES (first-year family), 716 Etolin Street — CLASS 3: 3:30 p.m. on Thursday, June 2; CLASS 2: 3:30 p.m. on Tuesday, June 21. FRAN BARATKI (first-year family), 180 Price Street, No. 6 (purple trailer) — CLASS 3: 7 p.m. on Tuesday, May 31; CLASS 4: TBA. A.J. BASTIAN (second-year family), 207 Brady St. — CLASS 3: TBA; CLASS 4: TBA. REBECCA KUBACKI (second-year family), 1202 Halibut Point Rd. — CLASS 3: 4:30 p.m. on Wednesday, June 1; CLASS 4: 4:30 p.m. on Wednesday, June 22. BREEZY (second-year family), 616 Sawmill Creek Rd. — CLASS 3: 5 p.m. on Monday, June 6; CLASS 4: 5 p.m. on Monday, June 27. 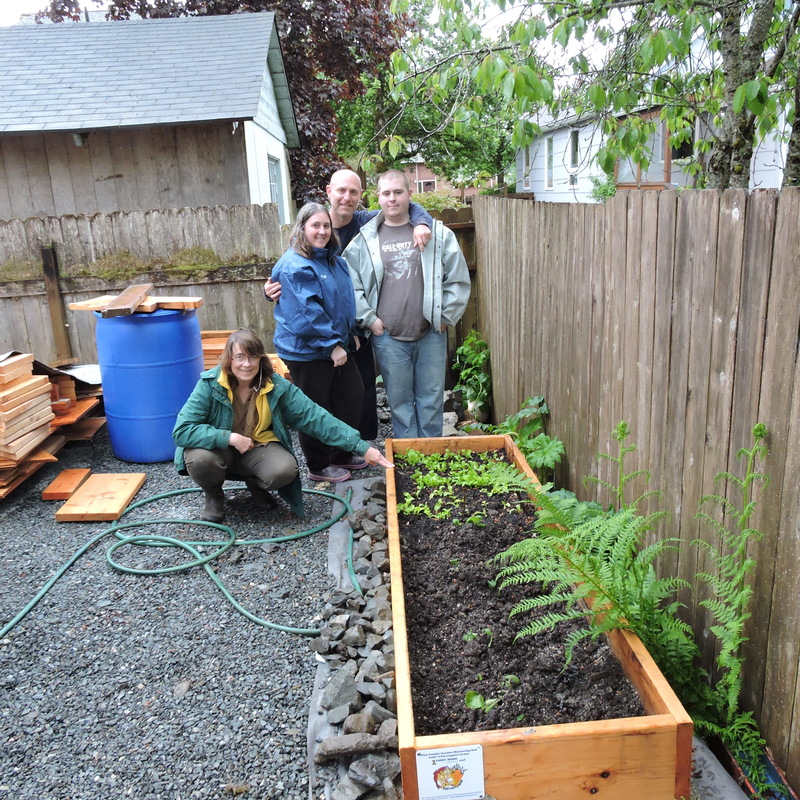 Rebecca Kubacki and her family after planting their garden bed in 2015. 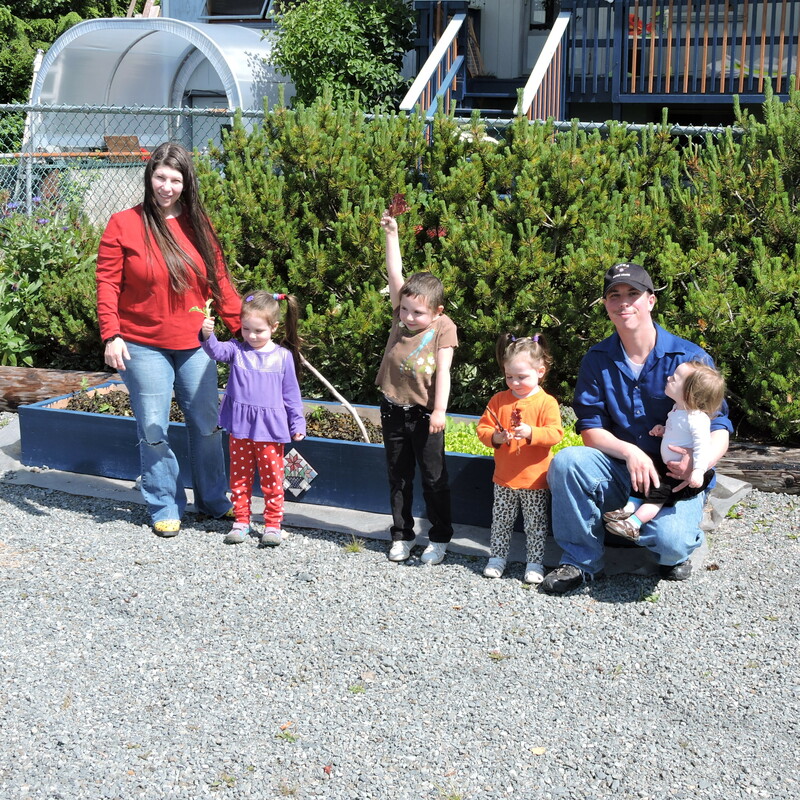 Breezy and her family after planting their garden bed in 2015. For our first-year families, the first class will focus on site selection, garden preparation, building planter beds, simple vegetables and soil preparation. The second class will be about simple vegetables and planting. Our first-year gardener families (Erin Mathes and Fran Baratki), learn how to grow four hardy crops for Sitka — kale, lettuce, potatoes and rhubarb. Our three returning families (A.J. Bastian, Rebecca Kubacki and Breezy) will be planting carrots, chard, green onions and peas this year.These four crops are slightly more difficult crops to grow that our first-year plantings of kale, lettuce, potatoes and rhubarb. 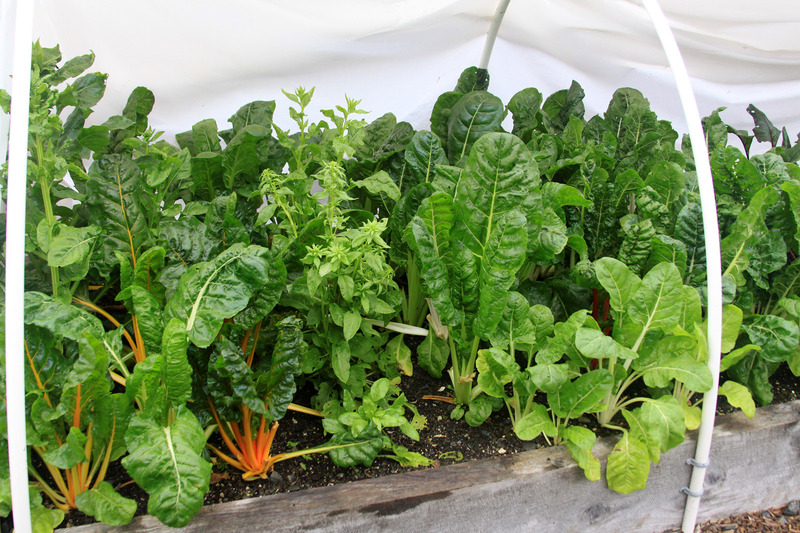 Even though the crops for our second-year students are more difficult to grow, many gardeners in Sitka still have good results with these vegetables. These classes are essentially the same, so feel free to attend the Class 1 and Class 2 that best fits your schedule. Erin Matthes (first-year family), 716 Etolin Street — CLASS 1: 3 p.m. on Wednesday, April 27; CLASS 2: 3 p.m. on Monday, May 9. Fran Baratki (first-year family), 180 Price Street, No. 6 (purple trailer) — CLASS 1: Done; CLASS 2: 4:30 p.m. on Monday, May 9. A.J. Bastian, 207 Brady St. — CLASS 1: Done; CLASS 2: 3:30 p.m. on Thursday, April 28. Rebecca Kubacki, 1202 Halibut Point Rd. — CLASS 1: Done; CLASS 2: 5:30 p.m. on Monday, May 2. Breezy, 616 Sawmill Creek Rd. — CLASS 1: 5 p.m. on Thursday, April 28; CLASS 2: 5 p.m. on Thursday, May 5. The Sitka Local Foods Network is looking to contract with two Sitka residents to coordinate our garden mentoring education program. This year we’re splitting up the duties, so one of the coordinators will work with our returning families and the other will work with our new families (and be paid slightly more). These contracts run from spring through fall 2016, and the coordinators will be in charge of developing curricula, teaching classes, obtaining supplies, and providing evaluation of the program. A full list of job duties and expectations can be found in the linked document at the bottom of this article. Applicants should have at least 3-5 years of varied vegetable gardening experience, preferably in Southeast Alaska. They also should have 3-5 years of project coordination experience, as well as demonstrated communication, organizational, and teaching/mentoring skills. 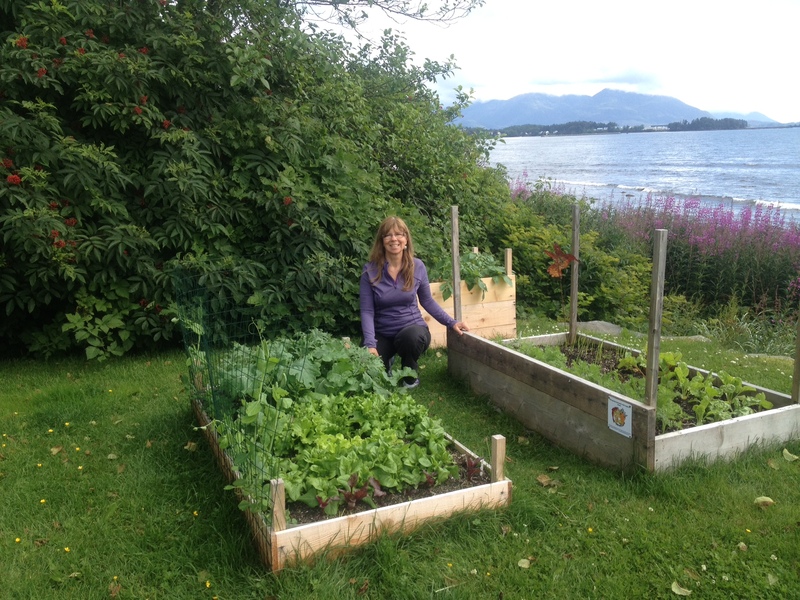 The garden mentoring project began in 2014 when two families of first-time gardeners were chosen to receive help planning and building a simple garden to grow four relatively easy plants for Sitka (kale, rhubarb, potatoes, lettuce). 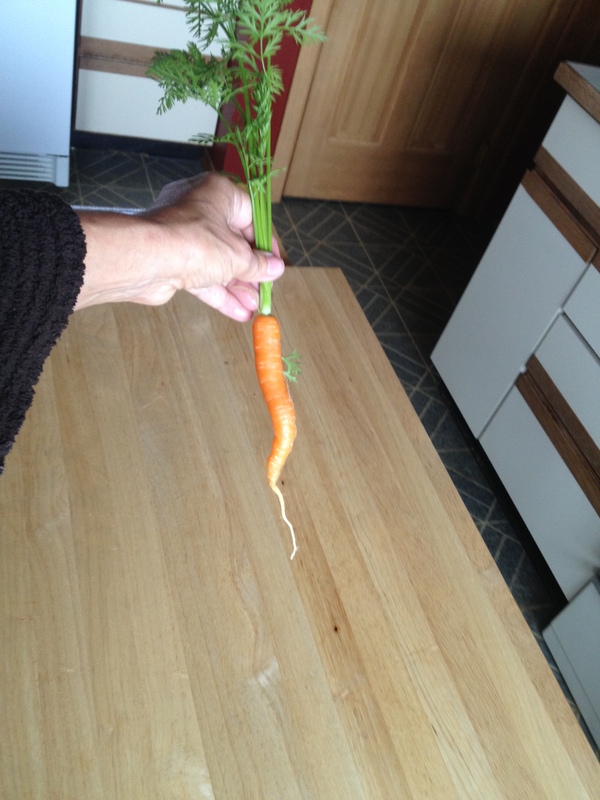 In 2015, the program was expanded to provide mentoring service to four new first-time gardening families, plus the two families from 2014 will receive a second year of mentoring as they learn to grow plants that are a bit more difficult for Sitka (carrots, peas, chard, green onions). There are six classes with each family, and they usually are open to the public. In 2016, we expect three returning families and three new families (one of our first-year families from last year asked to repeat as a first-year family this year). Applicants should submit a letter of interest and resume by 5 p.m. on Friday, April 8, to sitkalocalfoodsnetwork@gmail.com. Please put “Garden Mentor Coordinator” in your email subject line. The contracts pay in three installments over the summer. Questions about the contracts can be directed to sitkalocalfoodsnetwork@gmail.com. 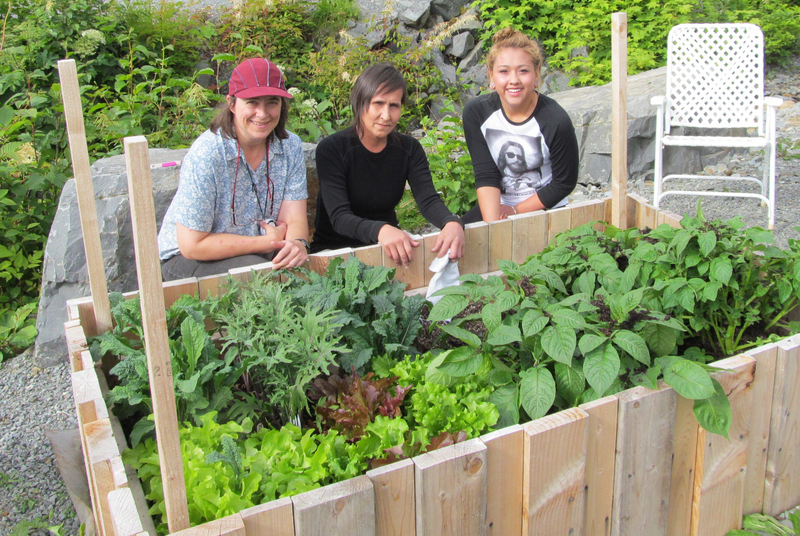 For a third straight year (2015-16), the Sitka Local Foods Network (SLFN) education committee wants to help families in Sitka learn how easy it can be to grow some of their own food. We are looking for up to three families who would like to learn about and try vegetable gardening in their own backyard through our Family Garden Mentor project. Cook a meal using the vegetables they have grown. 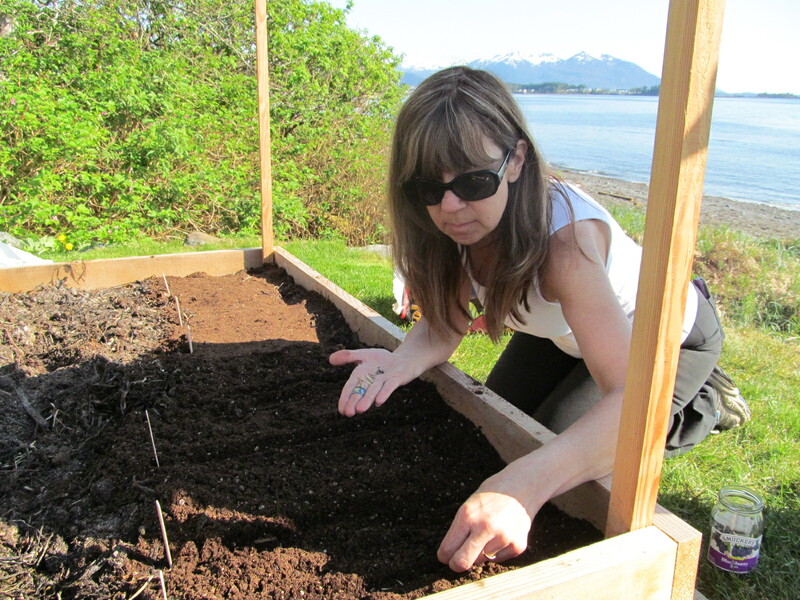 The Sitka Local Foods Network will provide all materials — soil, lumber, seeds, etc. — free to the participating families. Families will be expected to provide the labor, enthusiasm for gardening, and healthy appetites to eat the vegetables they grow. They must agree to let others come and attend classes at their property. Other criteria, such as availability and interest in a second year of mentoring, will also be used to help select the final three families. Families that are not selected will be placed on a waiting list in the hope of future continuation and expansion of this project. 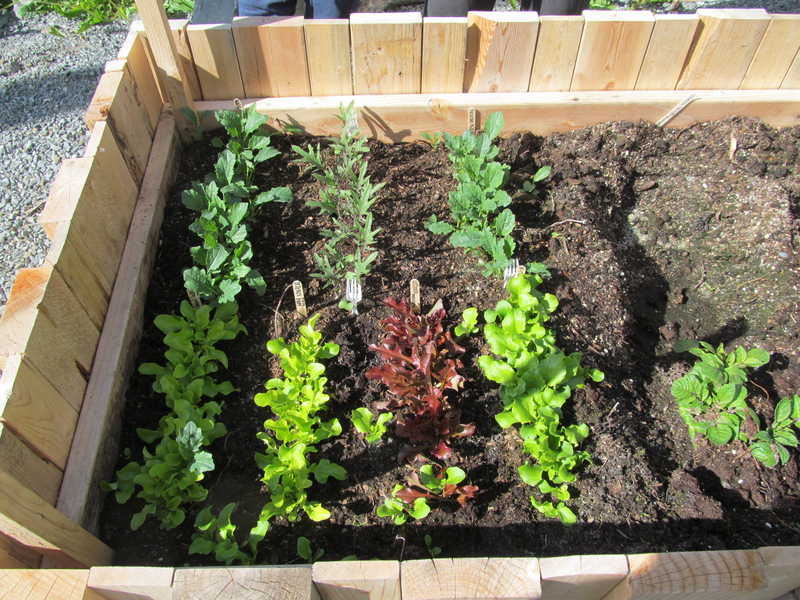 The Sitka Local Foods Network has expanded the program this year to include more families and to include at least two households living in rental housing that will garden in portable containers or planters appropriately sized for their space (in case moving is necessary). We also will offer a second year of mentoring to previous participants, so families can expand their knowledge and try growing more “difficult” vegetables, such as carrots, green onions, chard and peas. Workshops may start as early as this fall or winter with selecting the garden site, ramp up in the spring of 2016 and run through September’s late harvest. First-year classes will focus on the easiest-to-grow vegetables (and fruit) in Sitka — potatoes, lettuce, kale, and rhubarb. Families interested in participating in the 2016 program should contact Michelle Putz at 747-2708 before Jan. 15, and provide a name, address, and contact phone number. A slideshow of scenes from our first two years of the family garden mentoring program is posted below. The Sitka Local Foods Network is looking to contract with a Sitka resident to coordinate our new downtown garden education program. We recently received a 2015 community impact grant from the United Way of Southeast Alaska to develop this program, which we hope to launch in 2016 at a space next to Baranof Elementary School. This contract run from November 2015 through fall 2016, and the coordinator will be in charge of developing curricula, teaching classes, obtaining supplies, and providing evaluation of the program. A full list of job duties and expectations can be found in the linked document at the bottom of this article. This new program is modeled after our successful garden mentoring project, but instead of having garden mentors go out to beginning gardeners’ homes to provide instruction this new program will be taught at a centralized teaching garden next to Baranof Elementary School. The person who wins this contract will develop curricula (there is some curricula already available from the garden mentoring program), will prepare the garden plots, and will teach at least one class for adults and one class for kids every two weeks through the spring and summer. The garden mentoring project began in 2014 when two families of first-time gardeners were chosen to receive help planning and building a simple garden to grow four relatively easy plants for Sitka (kale, rhubarb, potatoes, lettuce). In 2015 the program expanded to provide mentoring service to four new first-time gardening families, plus the two families from 2014 received a second year of mentoring as they learn a few more difficult to grow plants (such as carrots). There are six classes with each family, and they usually are open to the public. Applicants should submit a letter of interest and resume by Wednesday, Oct. 21, to sitkalocalfoodsnetwork@gmail.com. Please put “SLFN Downtown Garden Education Coordinator” in your email subject line. The contract pays $1,070 total, in three installments of $350 for the first two payments in February and April, and $370 for the final payment at the end of August. Questions about the contract can be directed to Michelle Putz at 747-2708 or to Maybelle Filler at 738-1982, or send an email to sitkalocalfoodsnetwork@gmail.com.